Where is rap-Switzerland, and how much are the flights? Asking for a friend, and really for all of our friends, because J. Cole just dropped a new album on Friday, which means it’s time for everyone with ears and a Twitter handle to pick a side in the year’s hottest fight over the year’s lukewarmest rap music. At the center of this war zone stands a man alone, tripling down on his mythology as a rapper-producer who doesn’t need anybody’s help. After his self-produced, guest-free 2014 album “Forest Hills Drive” moved a million units, Cole’s most devout vassals blasted their rally cry across social media — “J. Cole went platinum with no features” — until it became scripture. 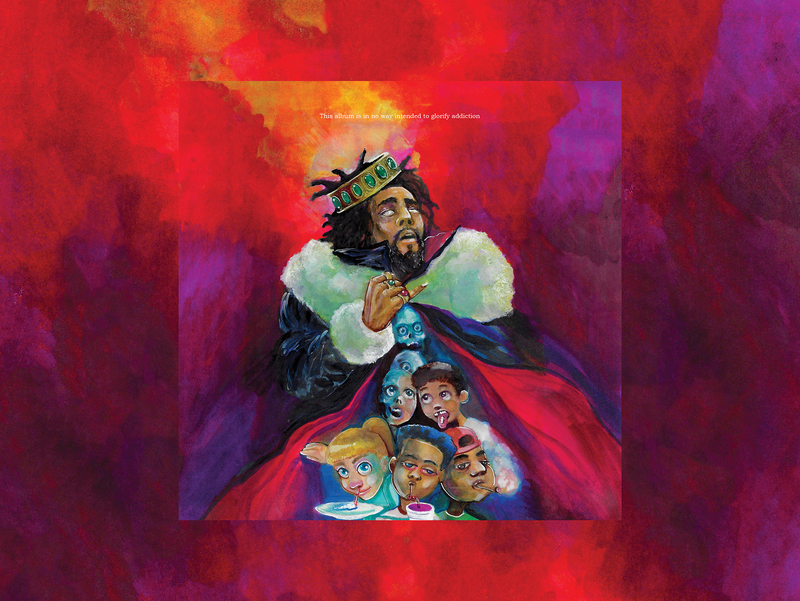 Now the superfans’ meme is the rapper’s mantra, and on his new album’s title track, “KOD,” Cole is quick to remind us that other rappers “ain’t worthy” of appearing next to him in song. Maybe that’s just good, old-fashioned, reflexive braggadocio blab — but it’s starting to feel a tiny bit sociopathic. Deep thinkers should give us the bends, but Cole only ever gives us clarity, telegraphing his rhymes, spraying down ambiguity like he’s dusting crops. To his flock, that certitude must feel reliable, comforting, centering. To those who can’t stand him, it feels inflexible, corny and pedantic. But maybe we can at least agree on why we all love or hate J. Cole: His songs mean what they say, and nothing more. At least the music itself on “KOD” has a spongier feel, with the rapper softening his articulation to match the elastic contours of his tracks. Unfortunately, the sounds oozing out of Cole’s mouth are also words, and too often, they seem to drip down from some bogus moral high road. That drip turns to a fire-hosing when the album reaches its coda, “1985 (Intro to ‘The Fall Off’),” during which Cole calls all of the boisterous young rappers blowing out speakers on SoundCloud into the principal’s office. “I ain’t judging you,” Cole raps at one point, and then, “I hope for your sake you ain’t dumb as you look,” the next. He sounds energized, sure, but he ultimately sounds afraid — just like Jay-Z did in 2009 with “D.O.A. (Death of Auto-Tune).” So if you’re into anxious rap superstars who make music out of their condescension to another generation’s youthful hyper-vision, here’s another track for your funky little playlist. For the rest of us, “1985” only reinforces what we already knew: An unimaginative rapper is primarily an unimaginative listener.